Cool flashcards with heaps of comical pictures: the perfect way to get on top of everyday French words. Get ready to say bonjour to France! 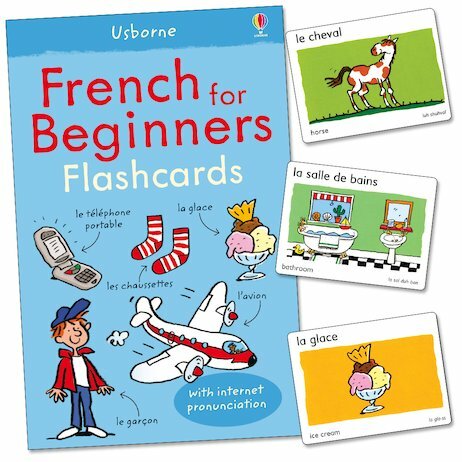 An ideal prop for language learning or quick-fix vocabulary building, these fabulous cards contain 200 essential words in a handy portable format that lets you learn them anywhere you go. Each word is illustrated with a colourful picture that shows its meaning and helps the word to stick in your mind. Use them for memory games, vocabulary practice and test revision – or to pick up everyday words if you’re planning an exciting trip abroad! Just don’t forget to pack them in your suitcase!